Where will you be in 30 days? So often, losing weight and regaining control of your health can seem like a faraway horizon, always just out of reach. This can leave you feeling discouraged and, before you know it, you’re right back where you started. But what if you could ignite your body’s natural abilities to regain good health, burn fat, and, get back the energy you’ve been missing? And not in months or years. · Accelerate: boosts fat metabolism and helps control your appetite, so you can stay on track. · Advanced Omega: Provides you with the essential omega-3 fatty acids most people are deficient in, for improved brain and heart health. · Axion: supports whole-body health through essential vitamins and minerals from whole foods, as well as enzymes, omega fatty acids, and probiotics. · Cheat: helps you feel fuller longer, and keeps the body from absorbing too many calories. · Flush: helps reset and remove toxins from the digestive system, supports normal immune and digestive system function. 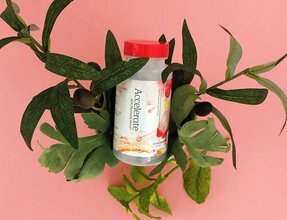 · Global Blend: provides free-radical-fighting antioxidants, super fruit goodness, and herbal adaptogens plus anti-inflammatories like aloe. 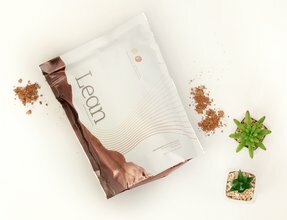 · Lean: combines two lean proteins with vitamins, minerals, and digestive enzymes for a high-quality snack replacement that’s much more than just another protein shake. · Xr2: naturally calms you for a restful night’s sleep, helps the body combat stress to assist in weight-loss and improve energy levels. · Xyng: naturally boosts energy, improves mood, and helps you achieve your weight-loss goals by controlling appetite. 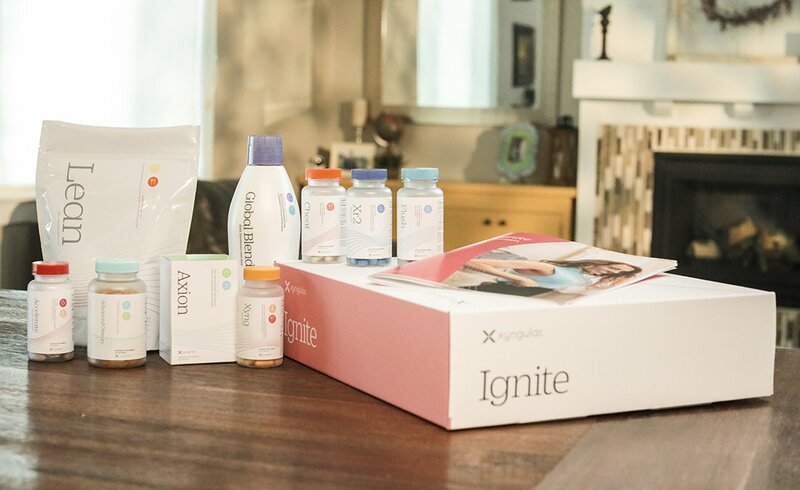 The Ignite system works together to give your body some of the most effective weight-loss ingredients, plus essential vitamins, minerals, and more for your good health and vitality. But the Ignite system isn’t just about the products – you’ll also be getting meal plans and support tools that will make all the difference in your healthy lifestyle. This period is designed to start cleansing your body of harmful toxins, and to “jumpstart” your weight loss. Your metabolism and digestive systems can quickly get readjusted during your jumpstart. This helps you to start losing weight, and gain back your energy and health. One of the key features that has made the Ignite system so successful is the delicious meal plans we’ve created, each tailored to your individual needs. Every body is different, so of course a one-size-fits-all approach won’t give you the results you’re looking for. That’s why with Ignite, you’ll have options. With dozens of recipes to choose from, you’ll have the delicious variety you and your family will love. These meals will keep you on track and taste so good, you might forget they’re great for you! Just choose between the expert-designed low-carb meal plan, or the cutting-edge keto plan, based on your personal needs. You may have heard of the “keto” trend that is trending throughout the health industry, or you may know someone who’s tried it. Keto is short for “ketosis,” which is a process your body enters to use fat as its primary energy source, rather than glucose or sugar. Ignite’s keto plan helps your body start to use its extra stored fat as ultra-efficient fuel, helping you drop pounds and inches. He’s your new virtual coach. Ladies and gentleman, it’s time to meet Xander. One of the most innovative parts of the Ignite system, and one of its most effective, is a virtual coach named Xander. Have you ever wanted to have a personal trainer and coach like a Hollywood star to keep you on track, answering your questions and motivating you? Xander is Xyngular’s virtual assistant, and he’ll be guiding you through every step of your Ignite system experience. With daily reminders and important information, Xander will help you get the very best results possible. Got questions? Xander has answers! 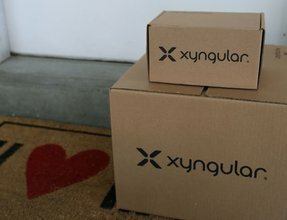 Whether you’re wanting to know what time to take which Xyngular products, or whether something’s on your meal plan, just send him a text. He’s got answers for you. Accountability is so important to achieving lasting results, and Xander delivers. He’s just one more reason why Ignite is one of Xyngular’s absolute best value deals. At an even greater value than Xyngular’s Core system, and just below the Ultimate system, Ignite is a great balance of effective products, at an even greater value. You deserve to live the life you want. You are worth the investment in your health. Change can be intimidating at first, but it doesn’t have to be hard, and you don’t have to go through it alone. Make the change, and start your own Ignite system today.